All of us bathe, but a lot of us are unknowingly absorbing chlorine through our respiratory system and our skin as we work to get clean. While the chemical does help to kill off unwanted, bad bacteria, it also has some unfortunate side effects as we use it over time. However, is this chlorine-treated water making you ill? The answer may shock you. Municipalities use chlorine routinely to keep bacteria out of drinking water. Many people use chlorine to keep their pool water clean and safe. Water-based bacteria are some of the worst to be exposed to. They thrive in standing water, or water that doesn’t flow or move in waves. This means our wells and our pools can be dangerous, so we add chlorine to them to prevent any terrible sickness. Chlorine does an excellent job of killing bacteria, keeping bugs away, and making water clear. However, it can also kill off the beneficial bacteria we need in our water to keep us healthy. As more evidence about the harmfulness of chlorine is released, solutions like de-chlorinating bath salts are something consumers are using to improve their health. As chlorine is used to treat water, the chemical combines with natural matter and forms compounds known as trihalomethanes, (THMS). For example, a common THMS is chloroform -- a carcinogen. These compounds are bad for the human body and turn toxic when we consume them, breathe them in, or put them on our bodies. Many health and wellness writers have alerted their readers to the dangers of chlorine. As most U.S. cities keep their tap water safe with two to four parts per million of chlorine to water, many people are absorbing elevating levels of chlorine. One of the first signs you are reacting to chlorine could be the quality of your skin. As you bathe with treated water, inhale the steam from your bath or shower, and drink glasses of water, your gut flora, or the good bacteria in your intestines, break down as chlorine enters your system. In your gut, your body produces vitamin B12 and vitamin K. Chlorine has also been shown to affect your system’s level of vitamin E and polyunsaturated acids. Without a good balance of these different bacteria-reliant elements, your skin may start to suffer. People have discovered rashes, developed cases of eczema, or broken out with acne due to the chemical additive. Another visible and immediate result of overexposure to chlorine is dry or itchy skin. While many of us turn to soothing, treated bathwater to keep us from scratching, the bath treatment may be the problem. The dry sensation is a result of a depletion of proteins in the skin, which we need to keep our skin soft and elastic. A better solution would be shorter showers or baths, followed by a natural moisturizer to rehydrate the skin right away. Chlorine is also blamed for supporting the growth of free radicals in the body. These go on to damage cells and build the foundation for cancer. 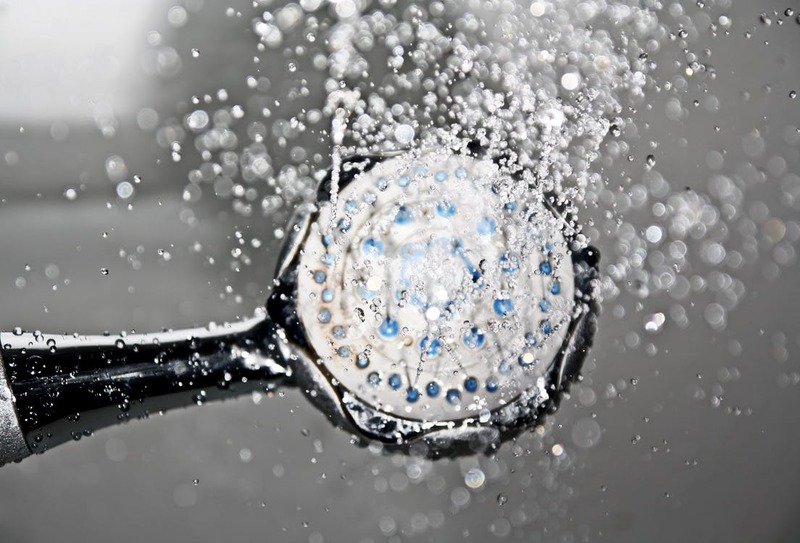 Chlorinated water may be tied to bowel, breast, skin, and bladder cancer. All these can be costly, at best, and fatal in serious cases. Bath salts with vitamin C are designed to de-chlorinate water and work as a filter. This give you soft skin and beautiful healthily hair, and reduces your chances of skin problems or more serious, long-term illnesses. 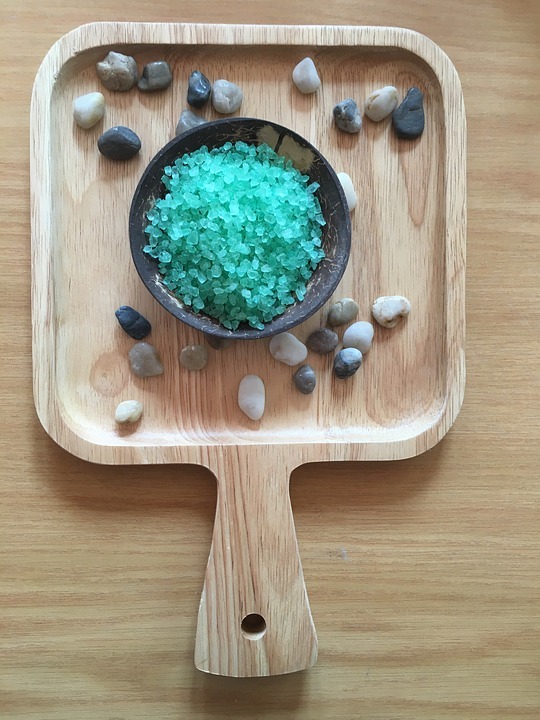 Bath salts help open your pores and can even help with certain skin conditions such as psoriasis. 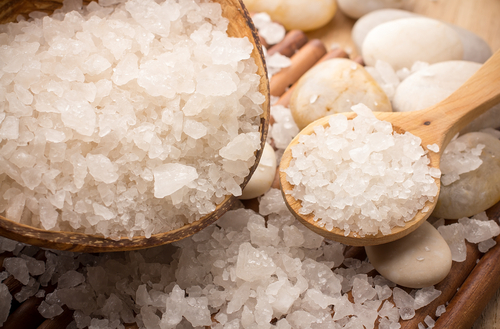 Many treat the pain of arthritis with bath salts. Another excellent choice for treating your water is vitamin C alone. Two forms of vitamin C, including the vitamin C taken as supplements, will neutralize chlorine: ascorbic acid and sodium ascorbate. You can also use sulfur-based chemicals to get rid of the chlorine, but sulfur-based cleaners lower the dissolved oxygen content. Vitamin C does not do so. Vitamin C also will not harm plants in fish tanks. You can also invest in a water-softening system. This helps your soap and shampoos foam more and last longer, as you will only need a small amount to get clean. It will also help the steam from showers and baths be safer and have a nicer feel and smell. No matter how you address the problem, it is essential you make your water as healthy as possible. Getting rid of chlorine by switching to de-chlorinating bath salts is a great start.